The Waterstones Children’s Book Prize winning author returns with a tale of deeply inspiring and selfless courage. There are some places you would not want to go. Even if I told you that we have oceans clear and blue as summer skies, filled with sea-turtles and dolphins, or forest-covered hills lush with birds that call through air thick with warmth. Even if you knew how beautiful the quiet is here, clean and fresh as a glass bell ringing. But nobody comes here because they want to. Amihan lives on Culion Island, where some of the inhabitants - including her mother - have leprosy. Ami loves her home - with its blue seas and lush forests, Culion is all she has ever known. But the arrival of malicious government official Mr Zamora changes her world forever: islanders untouched by sickness are forced to leave. Banished across the sea, she's desperate to return, and finds a strange and fragile hope in a colony of butterflies. Can they lead her home before it's too late? Kiran Millwood Hargrave is an award-winning poet and novelist who lives in Oxford. A Cambridge University graduate, she performed plays with the Footlights and has performed her poetry in venues across the world. She was only twenty six years old at the time her debut, The Girl of Ink & Stars, was published and the book went on to win The Waterstones Children’s Book Prize 2017. 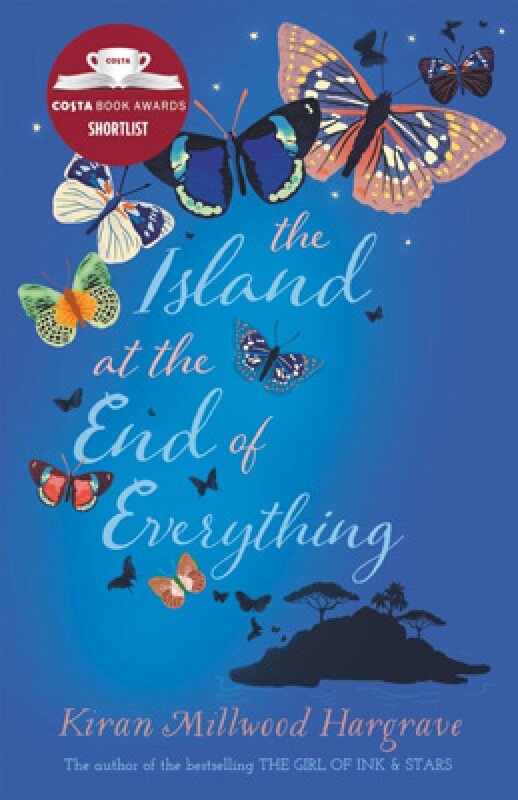 The Island at the End of Everything is her second novel.